Give your time and talents to our Durham community. Helping a child access the basic needs for successful learning … food, clothing, supplies for school, etc. Every year there seems to be a growing number of children who are chronically undernourished because of their family’s financial situation. Many of these kids rely on subsidized lunches for their main meal of the day. On the weekends, they often are not able to get the kind of food they need. Backpack Ministries are modeled after similar programs in other churches. The main idea is to provide a pack of nutritious food that will carry them through the weekend. Each week these foodstuffs are collected and organized into “packs” that are delivered to the school (in this case Hope Valley Elementary), which then distributes them to kids that they have identified as needing them. The skills needed are being available to stock, sort and pack food, and occasionally deliver the backpack to the schools. This is a great opportunity for families with young children to practice outreach together because hunger is easy to understand and food is a very tangible way to help. To learn more about Epworth’s Backpack Ministry, send an e-mail to Kenneth Roberts. FMF is now located at 300 Queen St. which is behind the Main Library, downtown. This is a ministry that helps families move from temporary homelessness to stable housing and provides much support during this transformation. Epworth has been a part of this ministry for 23 years. I hope you will help keep this important ministry going! For more information or if you have any questions, please contact me at Beth-armbruster@nc.rr.com. Thank you! This is a ministry that provides an evening meal to homeless individuals who come to the Durham Urban Ministries center. The meal which is prepared beforehand is served to over 150 people. Epworth commits to serving meals 3 times per year. What does it mean to create a welcoming environment? Several groups at Epworth are simultaneously acting to make our welcome “loud and clear” to our surrounding community. In addition to the ongoing work of our Outreach, Witness, and Communications committees, Epworth’s JTJ group is working to increase our understanding of our Durham neighbors. JTJ is especially concerned with those who might not assume that Epworth is a welcoming place. We currently partner with the "Dismantling Racism Group" in our Corridor District to read books about social justice, and to bring authors and other speakers to a lecture series we are hosting beginning September 2017. This event which involves many organizations in Durham is a fund raiser for providing funds for both local and global hunger missions. 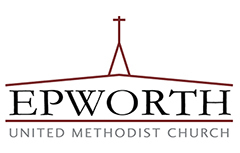 Epworth has been a significant participant for many years. Skills: walking, usually occurs in the early spring, please watch the church calendar for details.